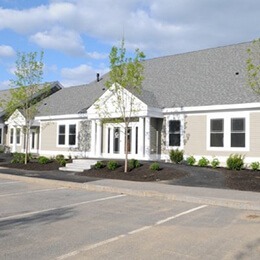 For over 100 years now, Generations Dental Care has been an essential staple of the Concord, NH community, providing quality, relationship-based treatment that leaves countless patients with strong, beautiful smiles they can rely on. 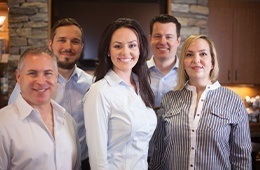 Today, our current team of doctors and specialists are proud to keep the tradition alive by dedicating themselves wholly to the ongoing oral health and wellbeing of every person who comes through that front door. We hope to not only make you and your loved ones patients for life, but also serve your family well for generations to come. With a wide variety of comprehensive services, modern technologies and exceptional staff members – we have plenty to offer! If you’d like to learn more about what sets us apart from other practices in the area, please continue reading. If you have any questions or are ready to schedule your first appointment, don’t hesitate to contact us. Maintaining your best smile is a lifelong job, and ongoing support from a trusted practice can make all the difference in the world as you strive to achieve this goal. Our practice has been voted “Best of NH” eight times in NH Magazine, and we take pride in not only meeting your needs during each and every appointment, but exceeding your wildest expectations as well when it comes to what’s considered a “typical” dental care experience. 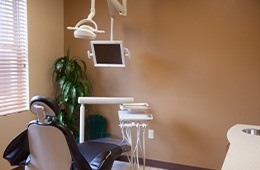 Simply put, our doctors and staff want to always leave you feeling confident about your oral health’s bright future! We’re not interested in tricking our valued patients into accepting services and treatment plans they don’t genuinely want or need for the sake of our bottom line. Earning your trust is one of our staff’s highest priorities, and we’ll always give you all the information you need about your current oral health condition and the options available to you so that we can collaborate on a plan of action that fits your unique circumstances best. Our practice is family-run, and we love seeing children, teenagers, adults, grandparents, and everyone who falls somewhere in-between! Our doctors and staff members will always treat you like one of their own loved ones. 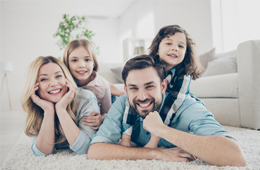 Plus, our comprehensive services menu truly features something for everyone, whether it’s pediatric dentistry, advanced restorative care, tooth replacement solutions, cosmetic makeovers, or other high-quality options. 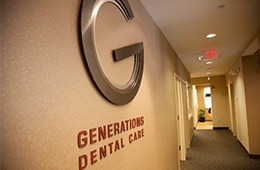 We enjoy being able to change the way our patients feel about dental visits over time through our comfortable and warm approach here at Generations Dental Care. A complimentary beverage bar, massaging dental chairs, comfy blankets, and many other enjoyable amenities are available upon request. If impending treatment makes you feel nervous or fearful, oral conscious sedation is available as well to help you achieve a much more relaxed state throughout the procedure. Dentistry is a constantly evolving field, and we make every effort to stay right at the forefront for the sake of our patients’ comfort and convenience. 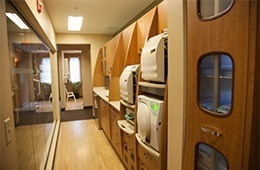 Our Concord, NH practice is highly modern and outfitted with plenty of advanced technologies that benefit every stage of the treatment process, including hard and soft tissue lasers, digital impressions, intraoral cameras, and much more. If you’d like to see our space firsthand, we have an online office tour available!